Graduation, whether from high school, college, or graduate school, can be an exciting time for students and their families. It marks the passing of an important milestone that leads to a more prosperous and fulfilling future. Untold hard work, dedication, and discipline culminate in the achievement of their academic goals. It is an ideal time to reward your son or daughter, and offer them a moment under the spotlight. MK Limo has been providing Spring, TX residents with graduation limo services to celebrate this proud time year after year. We have celebrated the academic success of many graduates of all levels, and look forward to continuing sharing the joy of parents and students for future graduating classes. The graduation ceremony is an important event for many families, who have cheered and supported their child through many challenges and struggles in order to reach this point. It is the combined effort of the student along with the encouragement of their families that often make academic success possible. Celebrate this momentous occasion together with MK Limo for an unforgettable day of luxury and fun. Every person who has contributed to this achievement can share in the pride, happiness, relief, and excitement of graduation day. Our graduation limo service lets you treat your guest of honor to a unique and glamorous experience in order to mark this important occasion. Our exceptional service and care will ensure that your graduating student feels like the star that they are for their big day. Let them bask in the glory of their achievement within our well-appointed, state of the art luxury vehicle. Our limos boast refinement, class, and comfort with their sleek designs and bevy of amenities. MK Limo is the perfect transportation option for any special celebration or event. Graduating students are moving up in the world. Many will begin steering towards their career paths, while others will continue on to higher learning. No matter what road is taken, it will be one that leads to a brighter future. Our MK Limo graduation transportation service offers students and their families the ultimate luxury and comfort in order to celebrate this forward momentum. As the premier limo rental service in Spring, TX, we ensure our passengers a memorable, glamorous, and fun experience that will highlight the occasion. MK Limo goes unchallenged as the private transportation provider of choice for all special occasions and events. Our luxury vehicles are visually stunning and spotless, offering up top of the line amenities and comfort for passengers to enjoy throughout the duration of their booking. We provide the ideal setting for relaxation, celebration, or entertainment. No matter how you prefer to spend the trip to your destination, our limos and party buses will satisfy your needs. 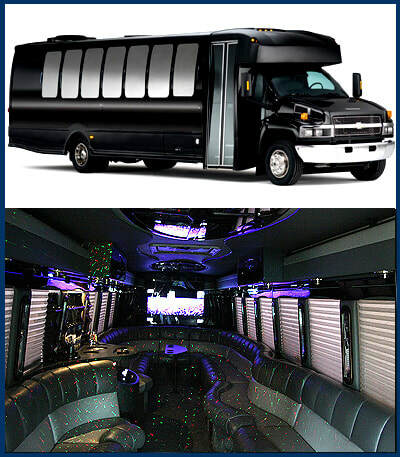 With greater passenger capacity and space to accommodate your family, friends, or guests, there is no better transportation for celebrating your Spring, TX graduation.